Text TRAVEL8 to 95577 for more info or click here for full details! Immerse yourself into the world of marine life rescue and be inspired at Clearwater Marine Aquarium, a rescue, rehab and release facility. 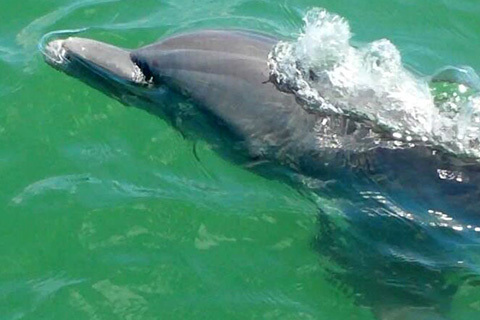 Here you will encounter the stars of the Dolphin Tale films, both filmed on location; Winter, Hope and Rufus (Ricky). You will also have the opportunity to visit our resident sea turtles, pelicans, eels, stingrays and Walle and Boomer, our playful otters. Come join us on a fun filled, narrated sightseeing tour of Clearwater’s harbor. 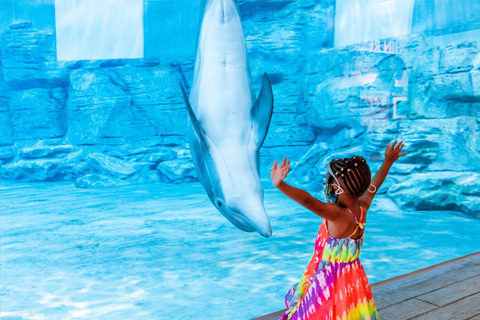 Enjoy a relaxing ride while you learn about our abundant wildlife, and view the area’s dolphins in their natural environment. Every trip stops at Compass Island where you can collect shells, swim, snorkel and the kids can even hunt for treasure! Enjoy one free adult 1.5-1.75 hour Dolphin and Harbour cruise per unit, per paid night stay, with reservations made in advance. Reservation required. Noncumulative and nontransferable. Unused admissions expire daily. Clearwater Beach and our surrounding cities are very bicycle friendly! 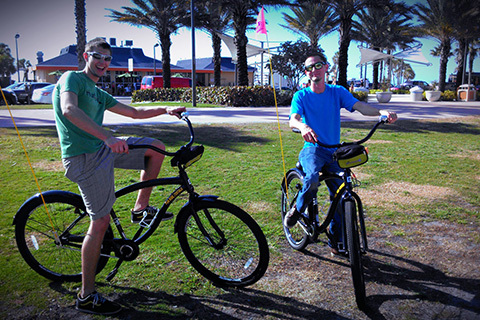 Cruiser bikes are a great way to explore the island and Fun Ride Rentals has just the bike for you! Enjoy riding the Beachwalk, a beachside promenade with views of Clearwater Beach and the Gulf of Mexico. The more adventurous might want to ride the Pinellas Trail, a 37 mile bike trail that runs North & South between Tarpon Springs and St. Petersburg, or ride the beautiful Gulf Coast towards St. Pete Beach. Enjoy one free adult cruiser bike rental per unit, per paid night stay, with reservations made in advance. Reservation required. Noncumulative and nontransferable. Unused admissions expire daily. Discover Clearwater Beach on a Segway and experience the ultimate high-tech ride while taking in the sights along the beautiful pristine beaches. 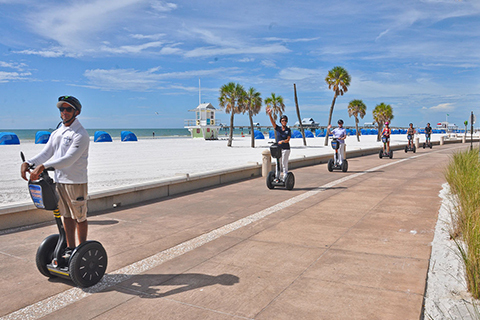 The Segway Adventure is Clearwater’s first and premier segway tour company. After mastering your Segway, your experienced guide will show you areas such as the downtown Marina and the historic Harbor Oaks. Enjoy one free adult segway tour per unit, per paid night stay, with reservations made in advance. Reservation required. Noncumulative and nontransferable. Unused admissions expire daily.